8 O'Clock String Training Orchestra (STO 8) is open by audition to advanced beginner string players. Students placed in this orchestra have mastered basic technical aspects of playing the instrument, can read music proficiently, are comfortable in some upper positions, and have often had previous ensemble experience. While orchestral assignments are made by level, not age, most members of STO 8 are in grades 4-7. 9 O'Clock String Training Orchestra (STO 9) is open by audition to beginning string players. Students placed in this orchestra have mastered basic technical aspects of the instrument, can read music, and have generally studied their instrument for at least 2-3 years. 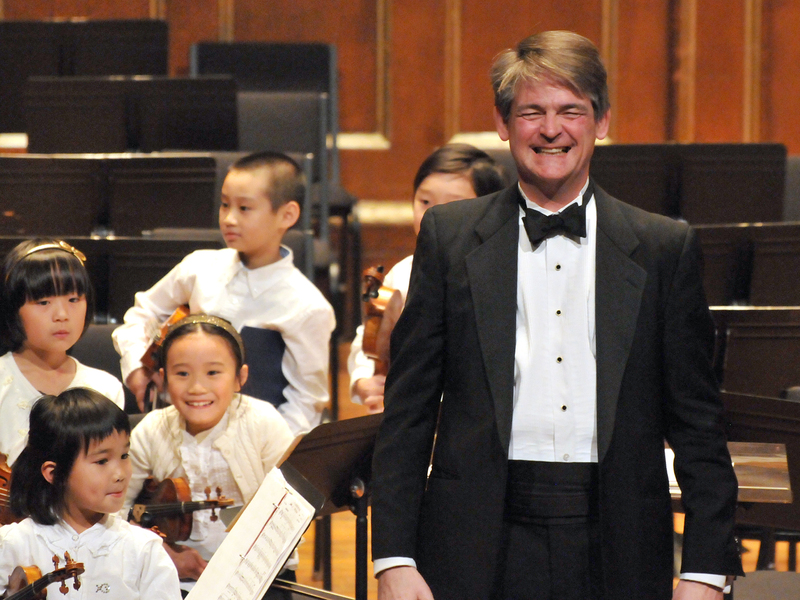 While orchestral assignments are made by level, not age, most members of STO 9 are in grades 3-5. Auditions for STO are held in the spring for the following year. Additional audition times may be available in the fall for any remaining openings. Seating Audition Sign-up: After placement into STO, all students will take a seating audition during the seating audition weekend, September 8-9, 2018, to determine their placement into STO 8 or STO 9. Seating Audition Requirements: STO students should prepare two short contrasting pieces or two contrasting movements from the same work, and one scale. This usually means a fast, technical piece and a slower, more lyrical piece. Students may also be asked to sight-read. During the academic year, STO members can also contact the STO Student Manager.